The EC250 passing through the Gotthard Base Tunnel. Credit: Stadler. 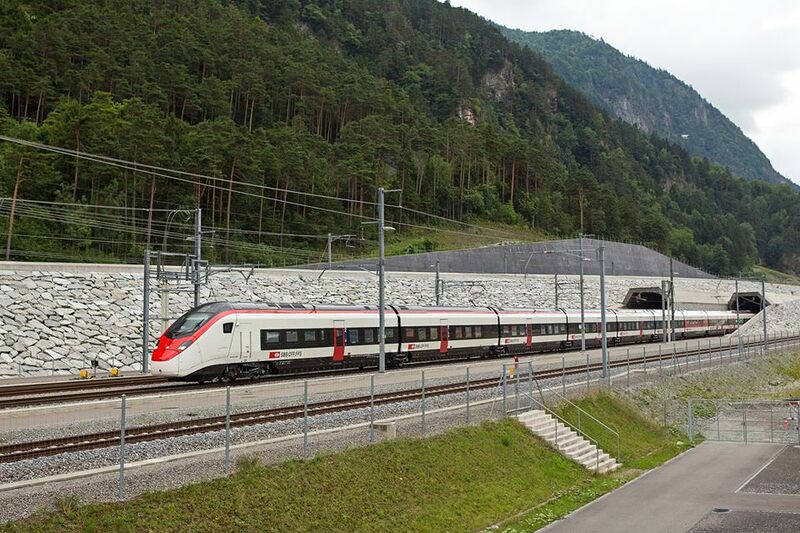 A Stadler EC250 train has travelled through the Gotthard Base Tunnel for the first time. The high-speed trains – which are also known as ‘Giruno’ – will run through the tunnel from 2019. Gotthard Base Tunnel is the longest and deepest rail tunnel in the world and cuts through the Alps in Switzerland. The inaugural trip was made on July 2 with the train reaching a speed of 100km/h to demonstrate that it meets the standards to operate in the tunnel’s extreme environmental conditions. The Giruno EMU will now be thoroughly tested at the Velim rolling stock test centre in the Czech Republic. The speed of the vehicle will be gradually increased during these test runs. Further testing will then take place in Switzerland, Germany, Italy and Austria, the four countries in which the train will operate. The EC250s are Stadler’s first high-speed trains and can travel at a top speed of 250km/h.